Love Waterfall, located about 4km to the North-West of Sa Pa Town in San Sa Ho Commune, Sa Pa District, Lao Cai Province, is a “must-see” destination on the Sa Pa tour. Driving on a red soil road to the waterfalls that winds through a primeval forest of lush ancient ivory trees and rhododendron flowers in white, red and yellow colour, tourists have a chance to enjoy a perfect painting-like landscape. From afar, the waterfall looks like a twinkling pyramid under the sun. It has a height of about 100m, and starts from the peak of Fansipan Mountain and rush noisily into the Gold Stream like a never-ending song. 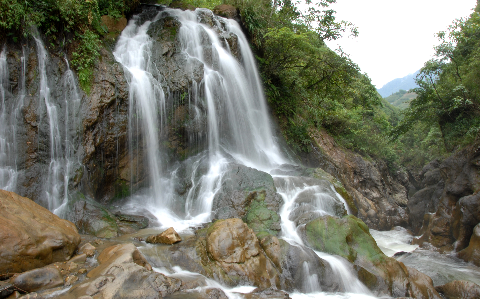 Under the waterfall, the Gold Stream runs along with green grass plots and bamboo clusters, forming a poetic image. 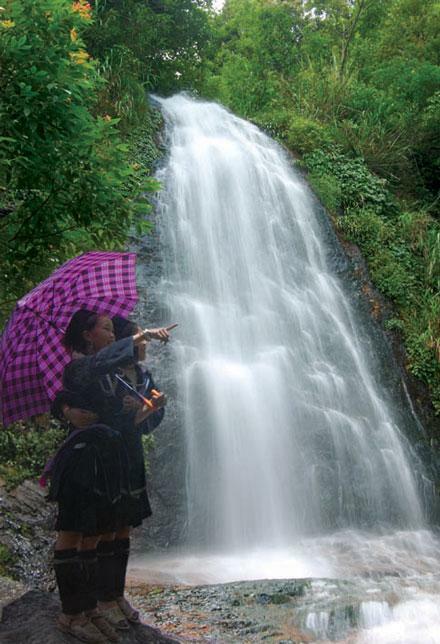 According to the local people, the name of the waterfall originates from a love story. 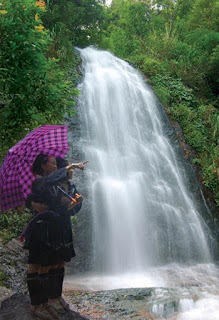 Legend has it that long ago, fairies from heaven used to come to the waterfall to bathe. One day, the seventh fairy saw O Qui Ho, the first son of Ai Lao Mountain Genie who was playing his flute near the falls. Mesmerized by the flute sounds, the fairy spent every night listening to the sweet melodies until her parents detected her secret and forbade her from coming to the human world. The fairy missed O Qui Ho so much that she spent every afternoon at heaven’s gate looking towards the waterfall and waiting for the sounds of the flute. Then, she transformed herself into a yellow bird that lives on O Qui Ho Mountain. Since then, the waterfall is called “Love” to remind everyone of the legendary love story. 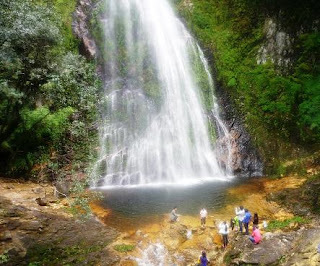 Currently, the Netherlands Development Organization (SNV) has suggested listing Love Waterfall in the “West-North Route” tour as it has a promising potential to become one of the most attractive destinations in the mountainous district of North Vietnam.